This morning as I was reading through some passages, I read John 3. 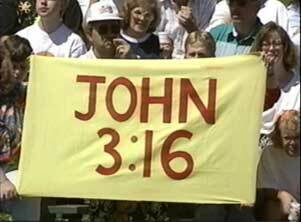 Of course, we all know and love John 3:16, which is one of those passages that we have all memorized, that we all know so well. It’s just a passage that just kind of floats around us, that is just part of the Christian experience. I’ve always loved that passage too. It is not just that God sent His son into the world to save the world, He did not send His son into the world to condemn the world. He loves the world. He loves you. Right now, no matter what you’ve done, what you’re doing. Really, today, no matter what has happened in your life, God is not mad at you. God is not out to get you. God is not looking to smite you. He loves you. He wants you to know Him, to love Him, and to find that life that comes only from Him. Now, the judgement is this – that we choose our darkness over His light. But, He is not out to get you today. No matter what happens today – God is not mad at you. God is in heaven, waiting for you mess you. God wants to know you, love you, care for you, lead you. He’s not out to get you. He’s out to love you. Remember these verses that follow John 3:16. God loves you today and each day. May we choose to follow, and may we choose to live in His light.